A lot can happen in 25 years, especially in an incredible place like the Indochina region, yet this is the amount of time Insider Journeys has pioneered travel here. They continue to give travellers the opportunity to experience some of the world’s yet-to-be explored and less-understood places, helping travellers to both create and immerse themselves in unique experiences and help build memories that are fit to last a lifetime. You may be itching to experience the energy of a vibrant city like Ho Chi Minh City (Saigon), explore the ancient temples of Cambodia, cruise the Mekong Delta, relax on a tropical beach or do all the above; if so, Insider Journeys’ selection of Small Group Journeys, private tours, short stays and river cruises can give you genuine insights into these fascinating and immensely diverse destinations. 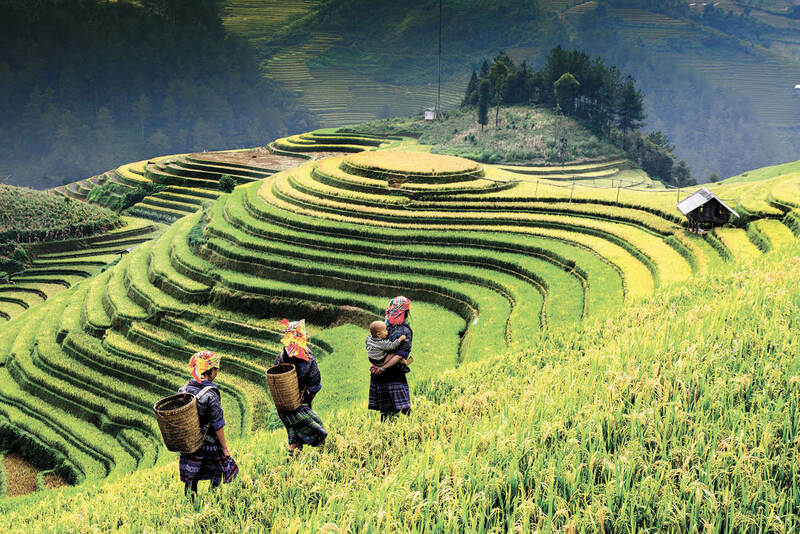 From majestic monuments to the hidden charms of city backstreets, you can taste authentic cuisine, reach remote villages and enjoy meaningful and genuine interactions with local people in amazing destinations such as Sri Lanka, Japan, India Vietnam, Cambodia, Laos and China. When you join an Insider Journeys Small Group Journey, you discover not only the ‘must-see’ sights and hidden treasures of Asia, but also the ideal way to explore these destinations. These itineraries give you the chance to relax and enjoy your journey, led by expert guides who take care of everything while still allowing you to retain a sense of spontaneity, flexibility and a ready sense of independence. If travelling in a small group isn’t your style, then the range of ‘Ready to Book’ Private Journeys designed by Insider Journeys’ team of passionate Asia experts could be what you’ve been looking for. Every itinerary includes the must-see highlights and genuine experiences of Vietnam, Cambodia and Laos. From the moment your trip begins, a Private Journey provides a seamless travel experience and all transport is included in your journey, be it by air, land or sea. All experiences are designed with you in mind, and if you can’t find what you need, the team can even tailor-make an itinerary especially for you. Insider Journeys 2019-2020 Small Group and Private Journeys brochures are available now. Call 1300 365 355, visit insiderjourneys.com.au or contact your travel agent.